Saint Xenia of Petersburg Chapel (Chapel of the Holy Blessed Xenia) is one of the most visited by locals churches in Saint Petersburg. To get to the chapel at the weekend need to wait in long line. The chapel was built in 1902. 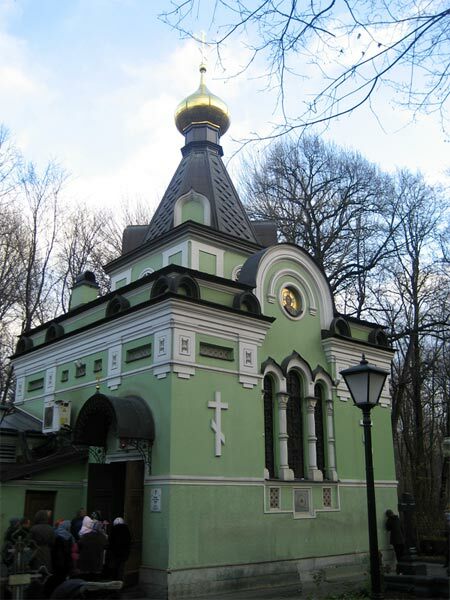 The chapel is located in the “Smolenskoye” cemetery, on Vasilievsky Island. Nearest metro stations are: “Primorskaya”, “Vasilyeostrovskaya”. The chapel location can be found on the map of St. Petersburg. The chapel is open daily from 10 to 16 (at the weekend - from 10 to 17).